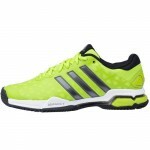 Men’s Adidas Barricade Club all court tennis shoes. 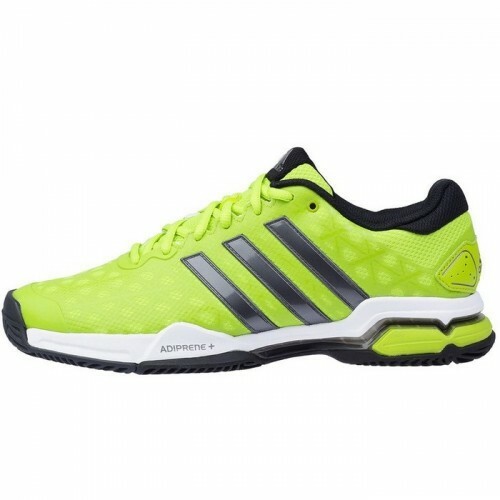 These Men’s Adidas Barricade Club all court tennis shoes are a lightweight all court shoe that offers stability and cushioning for aggressive, technical tennis. Aggressive players will appreciate the supportive TORSION® SYSTEM with every lunge. They feature ADIPRENE® under the heel for extra cushioning and ADIPRENE®+ in the forefoot to help maintain propulsion and efficiency. They also feature a non-marking ADIWEAR™ 6 all court outsole and abrasion-resistant ADITUFF™ wraps around the toe and medial forefoot for enhanced durability. Lightweight TPU foil is bonded to a mesh upper for optimal breathability, enhanced durability and superior lateral stability during side cut movements. 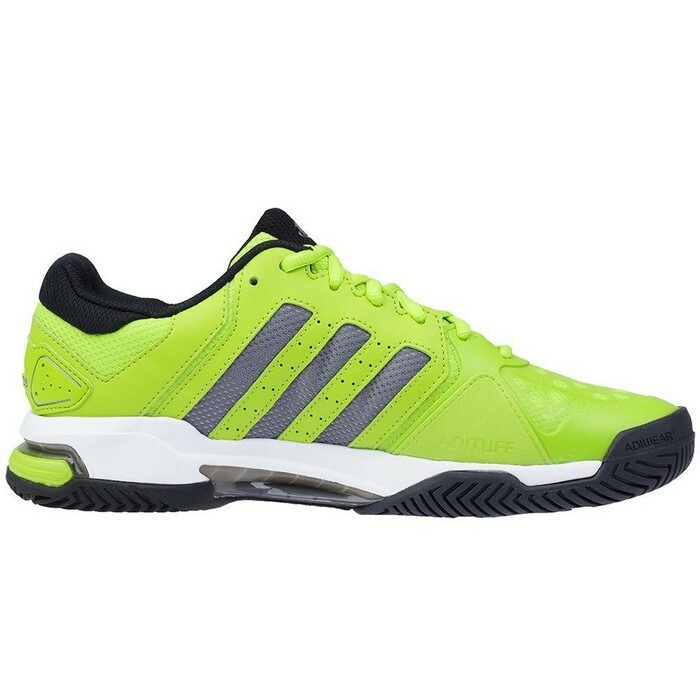 Abrasion-resistant ADITUFF™ wraps around the toe and medial forefoot to help protect against foot drag that occurs during serves, volleys and extreme lateral movements. 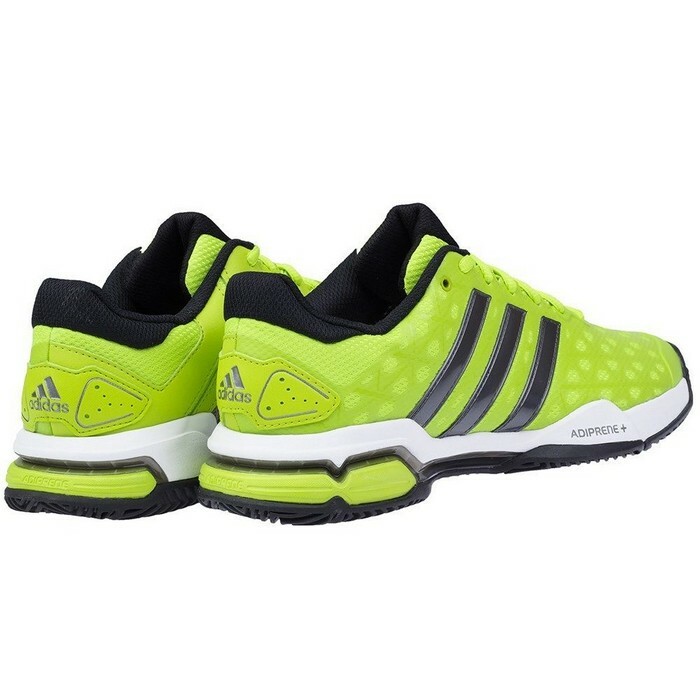 TORSION® SYSTEM for midfoot integrity; 3D system engineered to integrate forefoot and rearfoot for enhanced stability and support in quick directional changes. 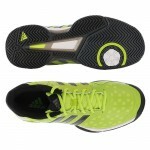 Non-marking all-court ADIWEAR™ 6 outsole offers the ultimate in durability. Colour: Semi Solar Slime / Night Metallic / Black.